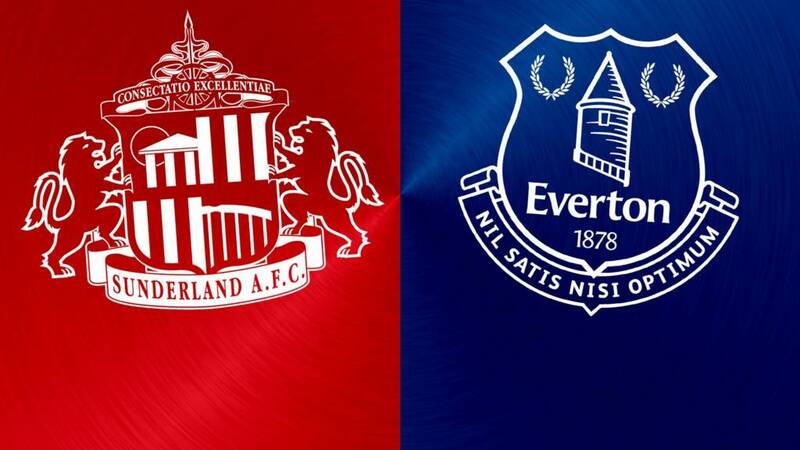 Sunderland XI: Mannone, Yedlin, Van Aarnholt, Kaboul, Kone, Kirchhoff, Cattermole, M’Vila, Borini, Khazri, Defoe. Everton XI: Robles, Baines, Funes Mori, Stones, Pennington, Barry, McCarthy, Cleverley, Barkley, Mirallas, Lukaku. Joy unbound at the Stadium of Light. The Black Cats are staying up. Newcastle and Norwich are gone. Big Sam punches the air. Job done. Everton are definitely going to end with nothing. Kevin Mirallas draws a superb save from Joel Robles with a shot on the turn. From the resulting corner, the ball falls to Romelu Lukaku, who smashes a shot against the bar. Mirallas then has another chance as he runs away down the right but lifts his shot over the keeper and past the far post. Everton are going to end with nothing. Leon Osman has a chance to claim at least a consolation goal but he heads wide despite being unmarked from a corner. Jermain Defoe almost slaps a cherry on top. He weaves into the box and finds an angle to shoot but Joel Robles saves with his legs. Five minutes added. Five minutes for Sunderland to wait until the party can truly start. 'Are you watching Newcastle?' sing the Sunderland fans. I suspect they've not been watching since the 38th minute. Unless they really are gluttons for punishment. These are two teams playing the remaining time out. Everton come forward but even with a mis-kick from the back that loops the ball high into the sky there is no pressure on Vito Mannone as he comes out to claim. "Great achievement for Sam Allardyce, turning Sunderland's fortunes around. He has come in and lifted the club spirits. For Roberto Martinez it is another really poor season and there will be a lot of questions asked of him this weekend." Duncan Watmore is going to get a taste of the fun. He comes on for Wahbi Khazri, who rightly gets a standing ovation for the shift he has put in. Michael: If Sunderland treated a whole season like a relegation run-in, they could pull off a Leicester next season! Tom Cleverley (I forgot he was playing) is replaced by Leon Osman. I think both teams just want the final whistle not, for very different reasons. We have an intruder on the pitch. Big Sam does not look happy. Yes, it is a great night for the Black Cats but you can surely enjoy it from your seat? Off goes Lee Cattermole - who is on a booking - and on comes John O'Shea. Sunderland shutting up shop. Job done. Vito Mannone rises to the occasion again, this time to save a glancing header from Gareth Barry from a corner. Francis L: Big Sam does not get relegated. Neil Taylor: A Norwich fan in USA dismayed by Everton performance. Stones and Barkley in England squad? Surely on reputation not form. Romelu Lukaku's drought continues as his low shot from the edge of the box is blocked by Kone (who else?!). Jan Kirchhoff is withdrawn with Sebastian Larsson coming on. The German player gets a huge ovation. What a signing he has been. Ian Funnell: The Martinez myth well and truly busted. Everton are shocking . Colin Fallon: Can't wait for Sunderland to win the Premier League next year. The inevitable. Lee Cattermole is in the book for a foul near his own box. It results in a really good chance for Everton as Funes Mori rises unmarked for a header that Vito Mannone claws behind. The defender should have scored. Save! Robles does really well to deny Defoe with a diving save after the striker had collected the ball in the box, got it out of his feet and fired on target. Leighton Baines looks to conjure something for his side with a free-kick from the left but his delivery is headed away by Younes Kaboul. He and Kone are having storming games.